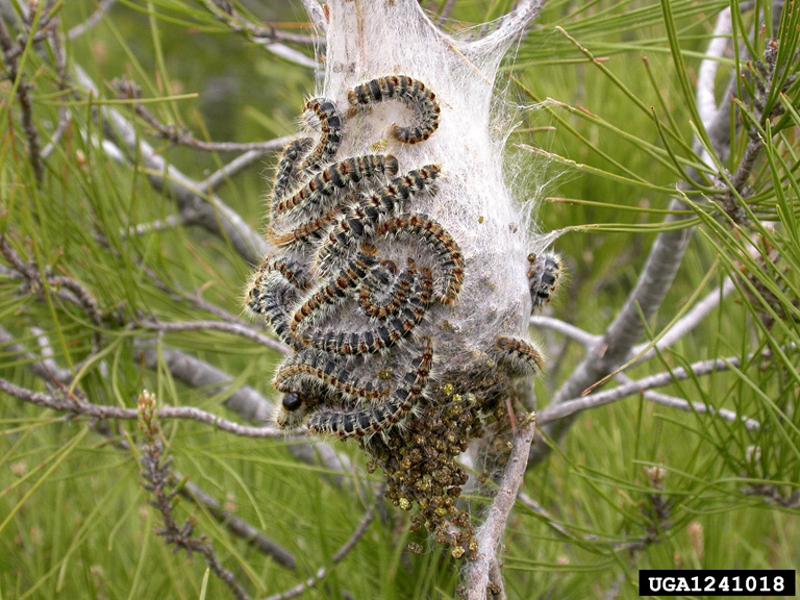 The pine processionary (Thaumetopoea pityocampa) is a type of caterpillar. It is considered one of the most important plagues on Mediterranean pines, although it can affect other trees as well. The name is due to their characteristic way of moving from the trees to the ground during their migratory phase. Besides damaging trees, the pine processionary can cause health issues to humans and animals — cats, dogs, ferrets. They have urticating hairs which cause allergic reactions (see Pest profile – Pine processionary moth). The most frequent result in animals are swellings in the area of the mouth. In the most serious cases, they might lose part of the tongue and lips, or even suffer asphyxia. We should know a little about the life cycle of this insect to avoid risking contact with the caterpillar. At the end of summer, adult moths mate, and the females lay eggs on the leaves of trees. The caterpillars hatch out of the eggs 4 weeks later. The most characteristic stages they go through are: the building of nests — to spend the winter —, and the migration from the tree tops in the spring to form the chrysalis underground. In the summer, moths hatch out of the chrysalis, and the biological cycle starts again when they reach adulthood. Also risk is also high whenever the nests are manipulated to be removed, mainly in the winter. These symptoms might be due to other reasons, such as poisonings from some plants. Therefore, it is better to visit a veterinarian. They will determine the exact cause, and prescribe the right treatment. Inflammation of the mouth, tongue, and lips. Such reactions happen when the animal licks, or manipulates the caterpillar with the mouth. These are the most frequent afflictions, and the ones causing the most trouble. Besides the swelling, there could be death of tissue in the affected areas. The animal might lose part of the tongue or lips. If your pet swallows a pine processionary, the consequences can be even worse: in some cases it might cause inflammation of the larynx. That would compromise breathing, and lead possibly to the death of the animal. Inflammation of the eyelids and ulcers in the cornea, when the caterpillar’s urticanting hairs are carried from the nests by the wind. Inflammation of the nasal cavity, when the animal sniffs the caterpillar — or spots where there are nests —, and the bug’s hairs get inside the nose. The prognosis varies depending on the affected area, the extension of the damage, and the timeliness of treatment. 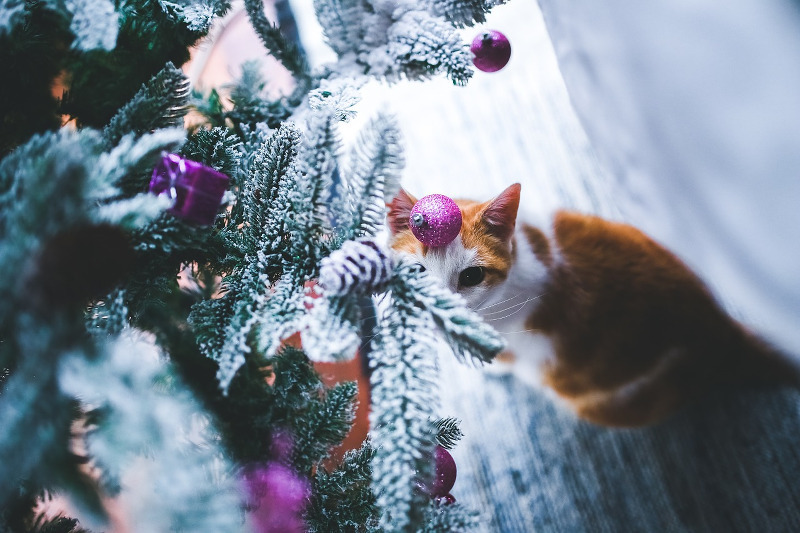 Therefore, if you suspect that your pet has been in contact with pine processionary caterpillars, our advice is to take them immediately to a veterinary center. They will evaluate the seriousness of the injuries, and prescribe the most suitable treatment. It is essential to keep in check the areas where our dogs or cats spend time during the autumn and spring. Prevent by any means their contact with pine processionary caterpillars — either by eliminating them, or avoiding the areas where they live.